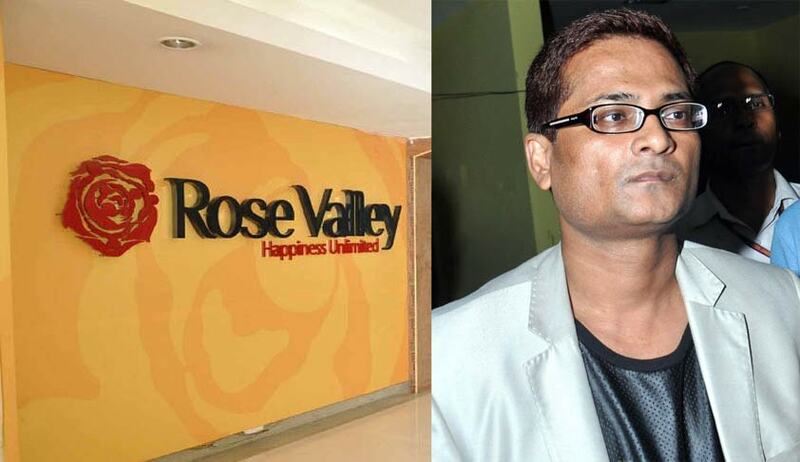 Supreme Court denies bail to Rose Valley Group CMD Gautam Kundu. By making a pragmatic approach to the provision of Section 45(1) of the P.M.L. Act and on consideration of the antecedents of the petitioner in collection of money from open market for issuing secured debentures in violation of the guidelines of SEBI and on further consideration of the manner of keeping accounts of Rose Valley the Supreme Court rejected the Bail application, on 16th December, 2015. This appeal, by special leave, is directed against judgment and order dated 21st July, 2015 passed by the High Court of Calcutta whereby the Court has rejected appellant's application for bail under Section 439 of the Code of Criminal Procedure, 1973. The appellant Gautam Kundu, Chairman of Rose Valley Real Estate Construction Ltd was arrested on 25.03.2015 in relation to an offence alleged to have been committed under Section 3 of the Prevention of Money Laundering Act, 2002. The Rose Valley Real Estate Construction Ltd., a public company incorporated in the year 1999 and registered under the Companies Act, 1956. Mr. Gopal Subramanium, appearing for the appellant submitted that there is no offence made out under PMLA against the appellant as Section 24 of the SEBI Act is not a separate scheduled offence under the PMLA. Section 12A read with Section 24 of SEBI Act is the scheduled offence under the PMLA since 2009. Neither the complaint filed by SEBI nor the complaint filed by the respondent (which is based entirely on SEBI complaint) prosecutes the appellant for violation of Section 12A read with Section 24 of the SEBI Act. He also submitted that the words "acquisition of securities or control", appearing next to Section 24 of the SEBI Act in the Schedule to the PMLA must be given due meaning and construed to mean that only that extent of the offence which pertains to "acquisition of securities or control" is a punishable offence under PMLA and not any other violation under the SEBI Act. Mr. Ranjit Kumar, appearing on behalf of the respondent, on the other hand, submitted that Rose Valley made a public issue of debentures without filing any offer document in violation of Section 56 of the Companies Act, 1956, nor did it file statement in lieu of prospectus as claimed by it. Mr. Kumar further submitted that the investigation conducted by the respondent revealed that Rose Valley illegally and fraudulently collected public money from the general public in the State of West Bengal, Assam, Tripura and Odisha, amounting to Rs.12363.63 crores (approx). In addition to this, Rose Valley illegally and fraudulently collected public funds from Karnataka, Bihar, Maharashtra, Jharkhand, Uttar Pradesh, Delhi, Madhya Pradesh amounting to more than Rs.3120.97 crores (approx). The Solicitor General stated that PMLA is a 'Special Law' applicable to the subject of money laundering, and deals with economic offenders and white collar criminals. The object of PMLA is to prevent money-laundering and to provide for confiscation of property derived from, or involved in, money- laundering. The learned Solicitor General lastly submitted that 'money laundering' being an economic offence poses a serious threat to the National Economy and National Interest and committed with cool calculation and deliberate design with the motive of personal gain regardless of the consequences to the society. Hence, for Money Launderers jail is the rule and bail is an exception, which finds support from many landmark judgments of this Court. The fact that the appellant floated as many as 27 companies to allure the investors to invest in their different companies on a promise of high returns and funds were collected from the public at large which were subsequently laundered in associated companies of Rose Valley Group and were used for purchasing moveable and immoveable Properties was considered offence punishable under Section 4 of the PMLA, in particular.